We have now left Australia and are heading into our final weeks of our trip. We had a flight booked to Singapore with Scoot airlines. I have never heard of it before so I did some googling and found out they use a Dreamliner. One review did say however they are the Ryanair of the long haul fleet! Ha! The flight itself was not bad,7 hours, which was quite bumpy with turbulence!! Once we landed we used their trains to find where our hotel was. The trains were really easy to use. 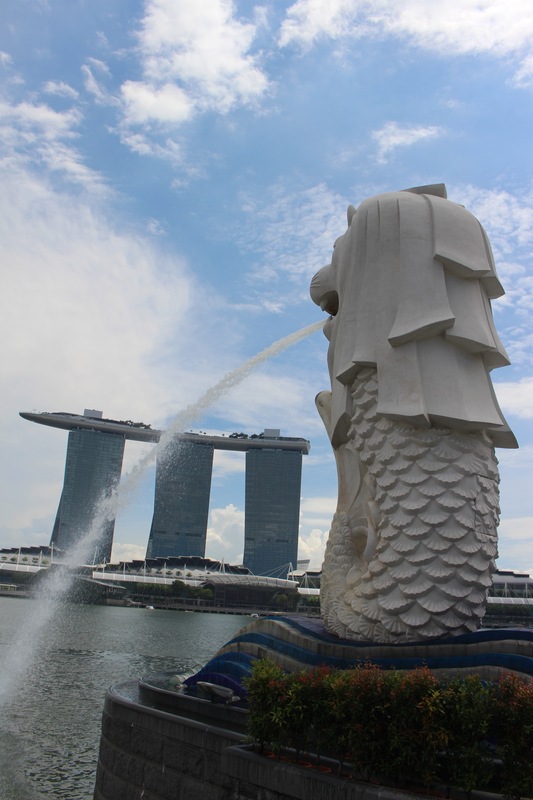 We decided to go and do some exploring and headed off to see the Merlion! Again it was quite easy to find & thankfully it wasn’t too busy with tourists! 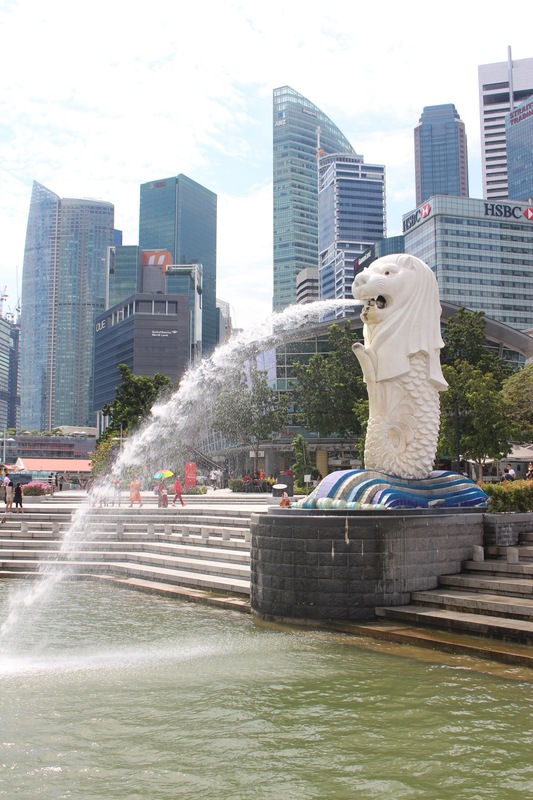 The Merlion is really nice, a lot bigger than I expected it to be. The views are amazing! The hotel behind it is the Marine Bay Sands. It looks fantastic, and it has an infinity pool on the top! The building is huge and is so different from any other hotel I’ve seen yet! A little bit too expensive for us travelers to stay in though unfortunately. 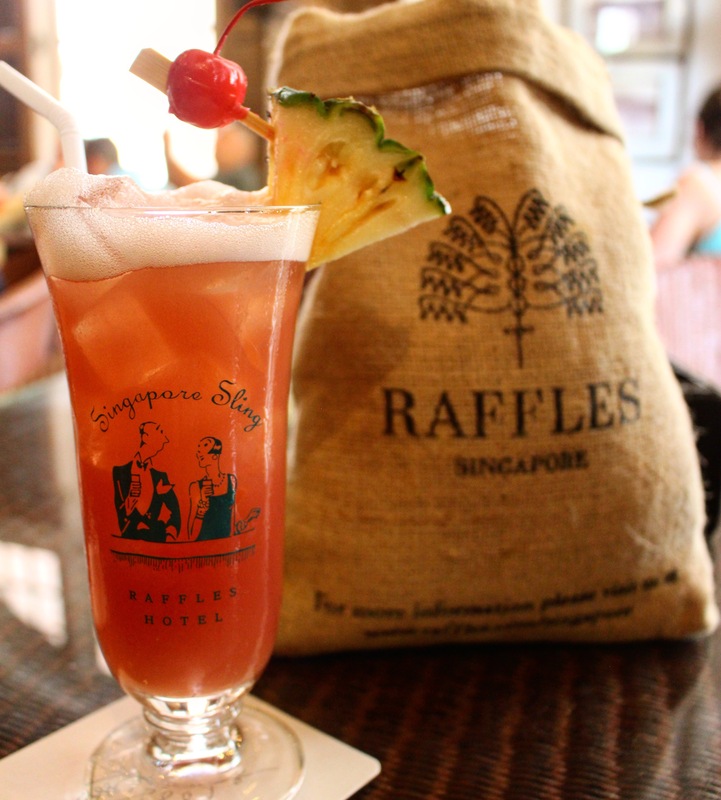 We were told from a friend to go for a Singapore sling in Raffles; the birthplace of the cocktail. So we decided to go off and find the hotel! It was amongst other big hotels and we saw the sign for ‘The Long Bar’ which was upstairs in Raffles Hotel. 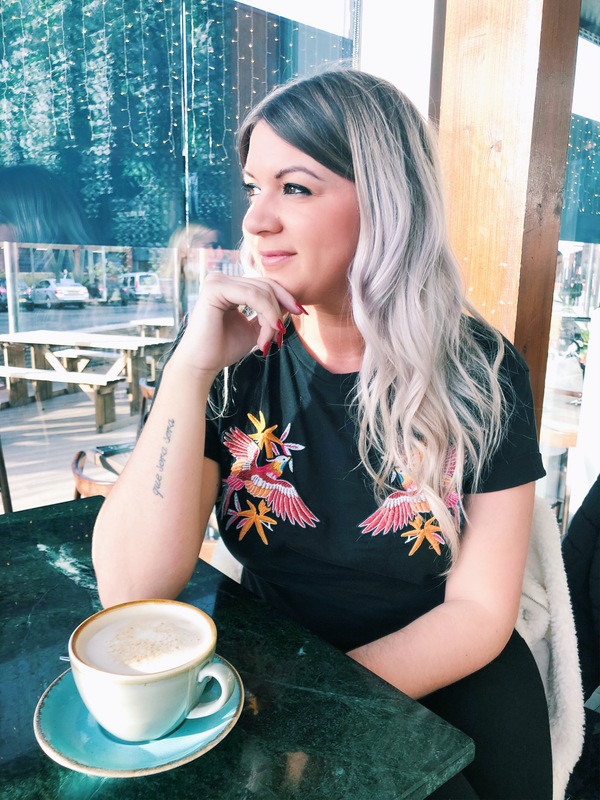 We expected to wait a while for a table however we were sat down straight away!! Of course we had to order Singapore slings!! We got 1 original and 1 tropical one which had sparkling wine in. YUM! They were both so so good! Each table had a big bag of nuts which you had to crack yourself. A great added extra for the bar! We sat and people watched there for a while whilst enjoying our cocktails, then decided to pay and leave! The bill cost more than we expected; $70!!! For 2 drinks!! But we brushed it off as it was something we just had to do whilst here in Singapore! 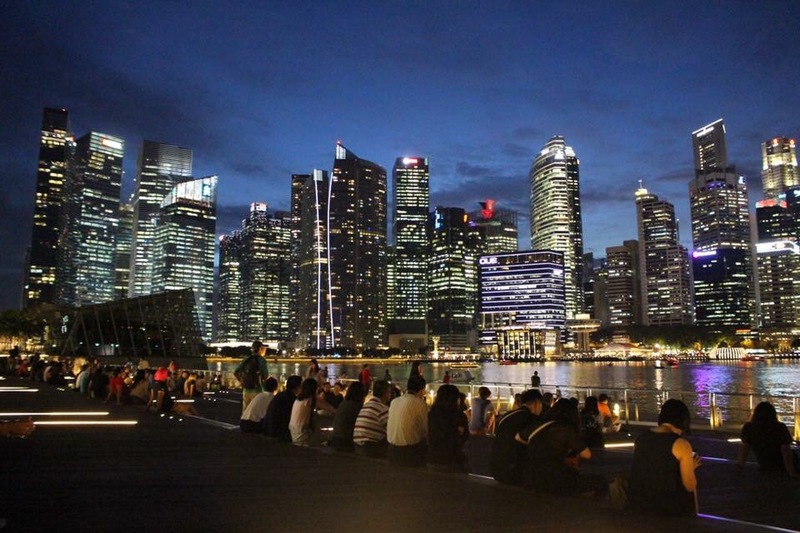 I would really recommend visiting here for a Singapore sling! With all its history it makes it even more worthwhile! We also managed to watch the sunset over the skyline which was AMAZING! And what a skyline it is!! !